Chestertons KSA has released its Q2 2016 report for Riyadh, the first ever analysis of the Saudi capital by the leading property consultant. The report highlights that there is increasing demand for affordable housing, as Riyadh’s population growth continues to outstrip property market supply. The Riyadh Real Estate Market Overview for Q2, 2016, points out that Riyadh’s population has grown by 52% over the past 15 years and currently stands at 6.5 million (6,506,700) people in 2016. However, only 500,000 units have been built during the same period, leading to a dearth of low cost housing across the capital. 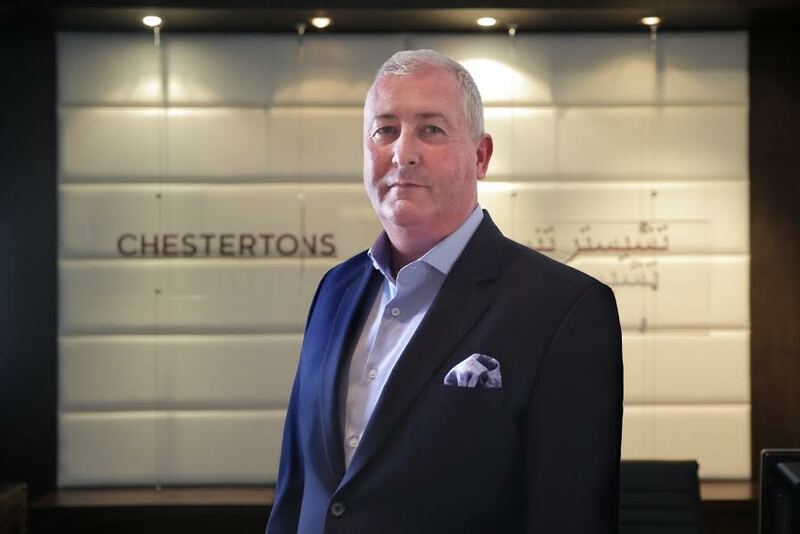 “The Saudi government is all too aware of the acute shortage in low cost housing units, but continuing low oil prices have resulted in inevitable cuts in public spending, which has in turn hit public housing projects,” said Declan McNaughton, Managing Director UAE, Chestertons MENA. “So far the impact on rental rates has been minimal, but it is beginning to drive prices higher in some areas that have traditionally provided value-led accommodation for budget conscious tenants,” he added. Average annual rental rates for apartments in Riyadh are currently US$7,182 (SAR26,935). In the sought after central Riyadh area, where the most expensive rental rates are to be found, the Al Wahah district tops the list at US$18,700 (SAR70,000) whilst the district of Jarir was the least expensive at US$9,350 (SAR35,000). Southern Riyadh had the most affordable rental rates with Al Marwah and Badr districts valued at US$5,066 (SAR19,000) and US$4,800 (SAR18,000) respectively. The average sales price for an apartment in Riyadh is currently US$117,771 (SAR441,656). However, districts across Riyadh top out at US$186,661 (SAR700,000) including the districts of Hittin in Northern Riyadh, Al Raid in Western Riyadh, Al Hamras in Eastern Riyadh and in Central Riyadh, Al Wahah is the most expensive at US$239,993 (SAR900,000). Badr, Al Marwah and Al Qadisiyah are the cheapest options at US$66,664 (SAR250,000). Average sales prices for a villa are US$476,768 (SAR1,787,926). As can be expected, average prices differ in all areas of the city, with the highest averages typically being commanded in the city centre with the lowest in South Riyadh. “Sales have slowed however, the move by the Saudi Arabian Monetary Agency (SAMA) to adjust the loan-to-value ratio for mortgages could help reinvigorate the market, particularly for those who had previously struggled finding the necessary funding,” said McNaughton. “Furthermore, as the market begins to bottom out we anticipate renewed interest from buyers who have been waiting for the optimum time to purchase,” he added. When it comes to buying land, the price of a plot overlooking one street is US$573 (SAR2,150) per square metre and US$666 (SAR2,500) for plots overlooking two streets. The office and commercial sector has seen a number of projects completed in the first half of 2016, including Al Nakel Tower, which alone increased the city’s supply of office space to 2.5 million square metres of gross leasable area. Vacancy rates generally remained stable at 16% while there was a slight decline experienced in the business district. Furthermore, rents rose slightly across different areas of the city reaching up to US$341 (SAR1,280) per square metres. “While there have been some major projects completed, there have been further delays to the King Abdullah Financial District development. We expect there to be around 800,000 square metres of leasable area by 2018, up from 160,000 square metres in 2016,” added McNaughton. Chestertons entered into a joint venture with partner MEDAD during the second quarter of 2015. MEDAD Valuation International is part of the leading Najeeb Abdullatif Alissa Holding Company (NHC), one of the fastest growing conglomerates in Saudi Arabia with operations across the Kingdom. The newly formed partnership, Chestertons Saudi Arabia Property Limited, now has offices in Riyadh, Jeddah and Al Khobar resulting in valuable brand presence and a stronger residential sales pipeline for Chestertons in the Middle East, London and its other global offices. Chestertons will be exhibiting at Cityscape Global in Hall 01 on stand S1H30. Chestertons opened its first MENA office in Abu Dhabi in 2008. In 2010, the company focused opened its Head Office in Downtown Dubai. It now has a total of three offices in the UAE – two in Dubai and one in Abu Dhabi – with around 80 employees in total and more than 40 experienced professionals employed by the Sales & Leasing Division. Chestertons is also venturing into Saudi Arabia with three offices opening simultaneously and has plans to further increase its presence across the MENA region.